The peaks are getting snow free slowly! It has been a cool spring so far but the rocks are poking through! 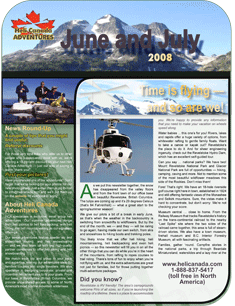 We have many adventures here in Revelstoke to take in when you are not flying with us!